Dr. Monte Mills, Founder, is the Director of Ophthalmology and Mabel E. Leslie Endowed Chair of Pediatric Ophthalmology at The Children’s Hospital of Philadelphia. He is also Clinical Professor of Ophthalmology at the Scheie Eye Institute and the University Of Pennsylvania Department Of Ophthalmology. His clinical research interests include pediatric strabismus and strabismus surgery, retinopathy of prematurity, telemedicine, eye manifestations of pediatric disease, pediatric cataracts, and pediatric glaucoma. Beth DeSouza, CEO, is an experienced executive in the life sciences industry with roles of increasing responsibility at Johnson & Johnson, GSK and Pfizer. She is also a board member of the Mid Atlantic Diamond Ventures (MADV). Beth earned her MBA at The Wharton School and has a BS in Civil Engineering from the Rio de Janeiro Federal University. Det Ansinn, CTO, has been involved with innovative software development for more than three decades. He has experience developing HIPAA and FDA compliant software applications including the use of mobile, AI, and deep learning technologies. He is also the founder of BrickSimple, an award-winning software development studio. Dr. Elise Ciner, Clinical Investigator, is a fellow in the American Academy of Optometry and an associate in the College of Optometry and Vision Development. She has served on numerous panels related to health care and learning related vision problems. With over 60 published articles and chapters to her credit, she also lectured throughout the country. Jordana Barmish, Advisor, is the Associate Director of PCI Ventures where she manages a portfolio of med tech, healthcare IT and life science companies. 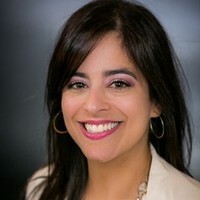 Prior to PCI Ventures, Jordana created strategic partnerships for a corporate startup operating in the connected health space. Jordana has both a clinical and business background with a Doctorate in Physical Therapy from Duke University and an MBA from Temple University. 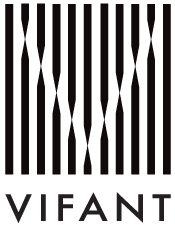 VIFANT LLC. Copyright 2019. All Rights Reserved.